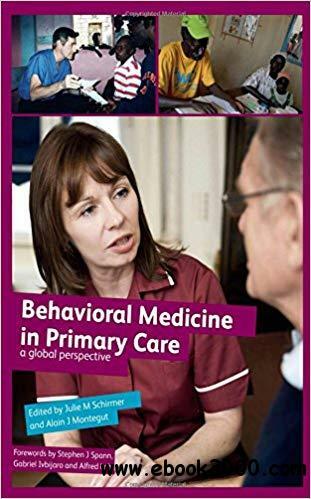 This textbook provides strategies for primary care health professionals to apply behavioral medicine principles and concepts. Many behavioral medicine textbooks assume a Western care model, where providers receive behavioral health training and have access to behavioral medicine specialists. However, providers who care for patients from diverse cultures and ethnic backgrounds may need to take a different approach. Behavioral Medicine in Primary Care recognizes this, enabling physicians, social workers and others unfamiliar with behavioral medicine to meet the mental and behavioral health needs of their patients. Its focus on patients from multiple settings and cultures and its comprehensive, practical format illustrate skills that can be applied immediately wherever care is being provided. It is aimed at everyone seeing patients for primary health care purposes, including physicians, assistant physicians, nurses, midwives, social workers, whether at community health centers, private clinics, or in patients' homes. With its 20 contributing authors from the US, Vietnam, and Oman, it is an invaluable resource for students and practitioners who provide consultation and care in countries different from their own.